Congenital abnormalities may be defined as defects in development of body form or function which are present at the time of birth. The embryological development of the spinal column is a complex process, as mentioned in the section on embryology, and is closely related to the development of the spinal cord, heart, great vessels, and genitourinary system which lie adjacent to it. Developmental anomalies in the spinal column are frequently associated with central nervous system malformations and abnormalities of cardiac and renal development. 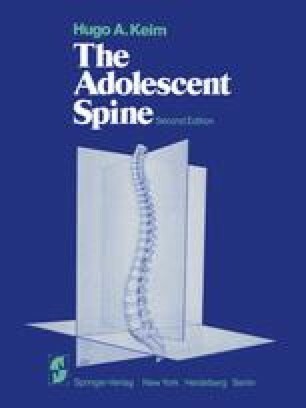 Only certain congenital conditions will be mentioned in this chapter, and those related to scoliosis and kyphosis will be separately described in subsequent chapters.